Karen Smith and her team of electricians are based in Tunbridge Wells, Kent, covering areas across Kent and Sussex. 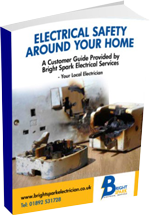 Bright Spark Electrical Services have had over 40 years of experience and specialise in domestic installations. Our services range from rewires and replacing light fittings to replacing a fuse in a plug, regardless of the task Bright Spark Electricians are capable of the job. 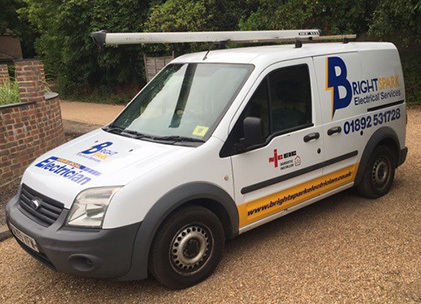 Our team at Bright Spark pride ourselves in providing the greatest customer satisfaction achievable with every job, delivering you with some of the best electrical contractors in the South East. Bright Spark are a reliable and trustworthy firm and we are registered on the Electrical Safety Register, we are also NICEIC registered and Part P Compliant, ensuring all work carried it out is safe and achieved to a paramount standard. Karen believes there is a gap in the domestic sector for electrical services; her goal is to ‘provide people like you and me with a quality service’. At Bright Spark we truly believe that the size of the job doesn’t matter, we will provide an electrical service for you no matter what. With our location being based in Tunbridge Wells, we are in an optimum position to work across the South East, including Kent, East Sussex & West Sussex. To find out more about the services we offer, feel free to contact us via the website. "In June 2018 Karen and one of her team fitted some new lights in my kitchen ceiling. I was really pleased with the work. The job was done efficiently and tidily. I was kept informed of arrival time and I was impressed with the service I received. Thanks for a great job. Lucy"